HomeNext Lunar Eclipse Can Be Seen By Everyone On Earth - Get Ready For July 27th 2018! The next lunar eclipse will be a true or total eclipse; in other words, it will happen because the Earth will block all of the light normally reflected from its main satellite. Events such as these are typically also accompanied by a loss of blue light from the body, which makes it appear as though it has turned red. This is known as a blood moon and may be particularly pronounced on the night of July 27th. Nearly everyone on the South American, African and Asian landmasses will be able to see the eclipse, this time. This eclipse is different from the last one, which took place on the 31st of January 2018, where only those in the more easterly parts of Europe and westerly parts of America were able to get a really good look at the obscuration of the moon. This time around, however, the eclipse will be visible from the second the moon rises across all the continents. For example, people in London will be able to see the moon in Earth’s penumbra from about 8:20 pm. The moon will then slide into a deep shadow (which may make it appear deep red or orange) and stay there for about two hours before appearing to be in partial shadow again. The moon will be completely visible again about an hour afterward. This impression will be created by the umbra of Earth or the absence of light caused by the planet’s trajectory between the moon and the sun. 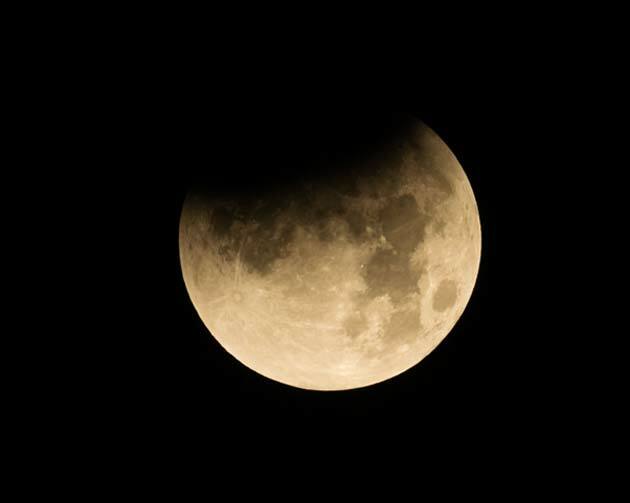 A total lunar eclipse has three distinct phases: the initial penumbral stage, the umbral stage (in which it is completely black) and the final penumbral stage. Therefore, an observer in London would see the first signs of the secondary penumbra at about 11.20pm. This time-frame would obviously be shifted for people across the continent to the East. Watchers in India would see the start of the initial penumbra at around 10.45pm, and the start of the second at around 1.10am. Those on the Australian subcontinent may also be able to see at least a partial eclipse; however, it would be apparent as the moon is setting rather than rising. 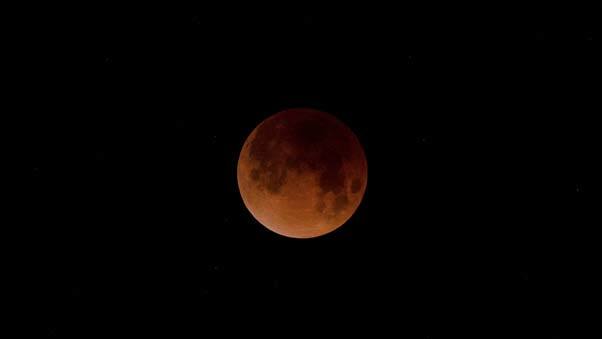 The ‘blood moon’ occurs while the Earth’s penumbra or umbra is in effect. Therefore, watchers may perceive this phenomenon as red because the blue light is ‘eroded’ by the growing umbra. It may, thus, be an impressive sight. 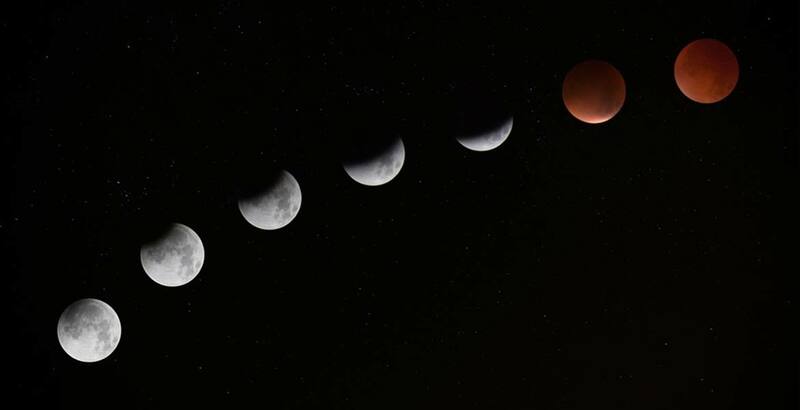 The eclipse of January 31st was also known as the Super Blue-Blood Moon for this reason. Astronomers and sky-watchers may also benefit from the upcoming eclipse. The Milky Way and the planet, Mars, will also be thrown into sharp relief by the relative darkness resulting from the full umbral eclipse. There may be abundant scope to get impressive and valuable images of these bodies during this time. At least, so long as the weather holds out! There is a chance that it may be too rainy or cloudy in your area to view the eclipse. In these cases, there is a live stream of the event to be available on the evening of the 27th. Precisely when and for how long the stream will run will depend on from where on Earth it is being captured. However, this may give everybody an opportunity to enjoy the lunar eclipse. The 2036 eclipse will last for 95 minutes, whereas the impending 2018 event will last for 103. Lunar eclipses are often more global events compared to those of the solar kinds, which, most often, only affect relatively small slices of the Earth during the day. This upcoming total lunar eclipse, however, will be much more widely available (although those in Central Africa are likely to get the best possible shots), and it is predicted to be quite apparent. We hope the sky above you clears, and you get to enjoy this fascinating event on the 27th of July, 2018.